So I’m suddenly obsessed with cherries. Cherries were never my stone fruit of choice growing up, but this year, I don’t want cherry season to end. 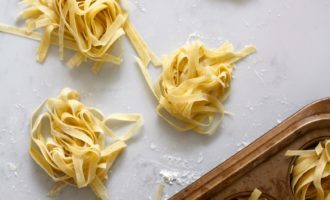 I keep buying pounds and pounds of them and my kids and I just eat them fresh, but occasionally we find a great way to use them, and this is definitely a regular in our Summer treat routine now. 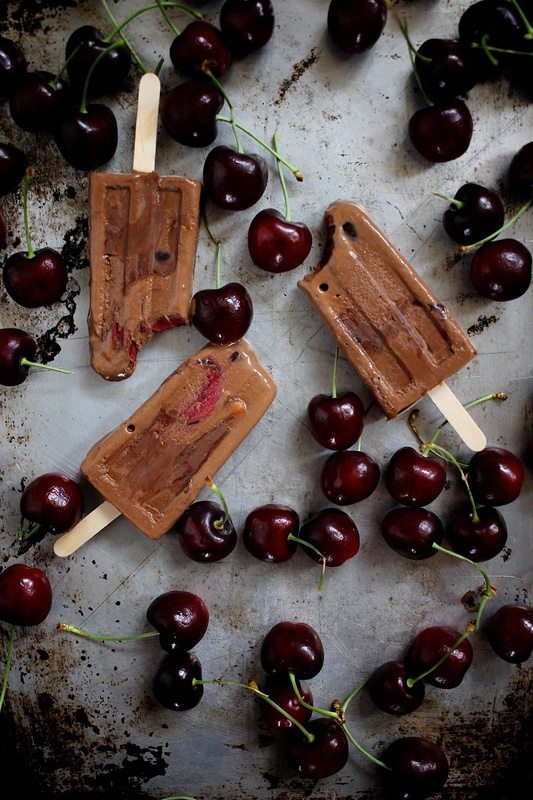 There’s just something about that tangy-sweet fresh cherry in the middle of this fudge pop that gets me. 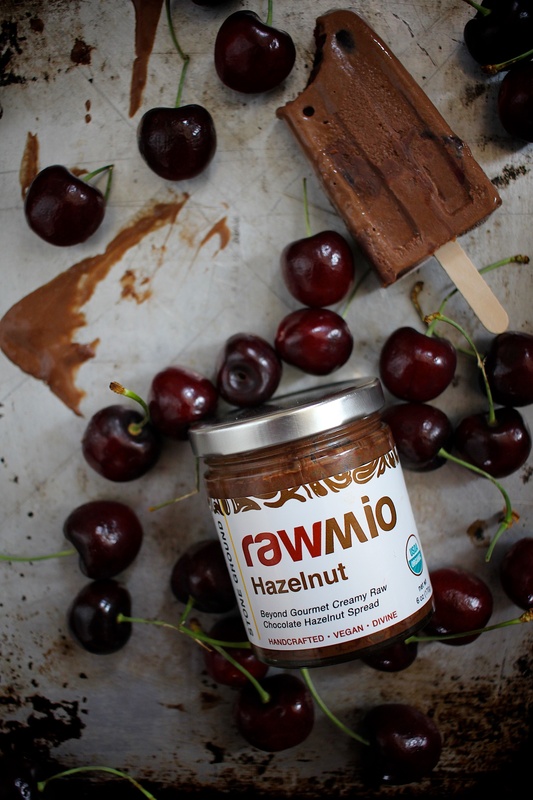 And I added a swirl of my favorite chocolate hazelnut spread by Rawmio, which kind of makes it for me. 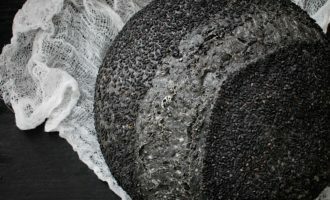 It adds this extra fudgy texture and the flavor is incredible. And it’s raw, vegan, organic, and refined sugar free on top of it all. I am totally addicted. And the folks over at Windy City Organics have been so kind to offer you a coupon code for 20% off all of their Rawmio line of products. You can use the coupon code SCRATCHEATSRA20 at their online store. 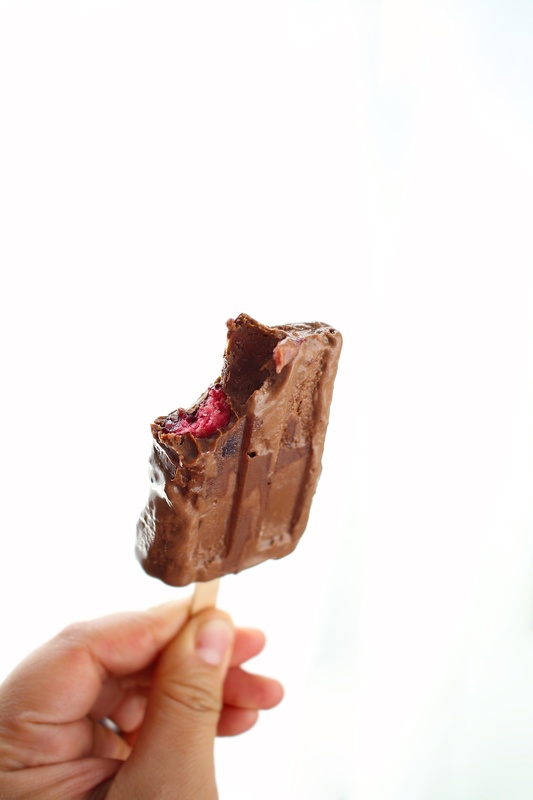 As for the fudge pops, they are super easy to make. I whipped up the base in my blender, halved a bunch of cherries, and swirled in the Rawmio chocolate hazelnut spread. The hardest part was waiting for a few hours before I could eat it! So try it out before cherry season is over! Add the coconut milk, bananas, drained dates, and cacao powder in the pitcher of a high speed blender and blend until smooth. Fill a popsicle mold about 1/3 full with the chocolate mixture. Add both sides of one halved cherry, cut side out, and press into the chocolate mixture. Spoon in about 1 tablespoon of the chocolate hazelnut spread and gently swirl with a skewer or chopstick. Pour in about another 1/3 and add one more cherry. Top off with chocolate mixture. Place popsicle sticks in the center and freeze for at least 4 hours until frozen solid. To release, you may need to place the popsicle molds in lukewarm water to help release. Enjoy immediately.